Hi-tech or high-tech is a design direction, which rose from the modern architecture with its straight lines and metallic parts, glass surfaces and futuristic shapes. Hi-tech aesthetics then took to the interior design and became one of the popular design directions. Hi-tech interior design works especially great for such rooms as kitchen and bathroom due to all the technology that is kept in there as well as their ‘cold’ nature. 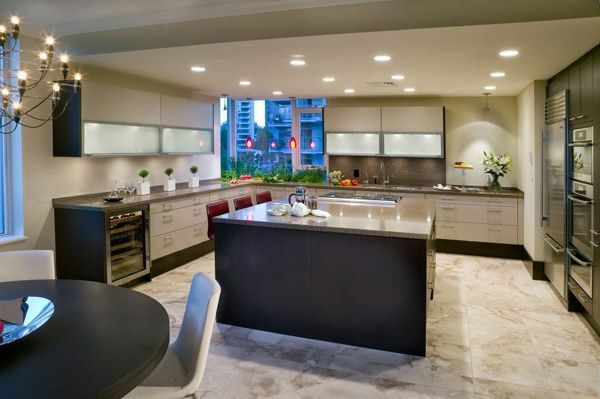 Hi-tech kitchen designs incorporate all the features that characterize this direction. Metallic parts performed as lamps, refrigerator doors, and other surfaces. Glass-looking surfaces are another distinct feature of the hi-tech design. 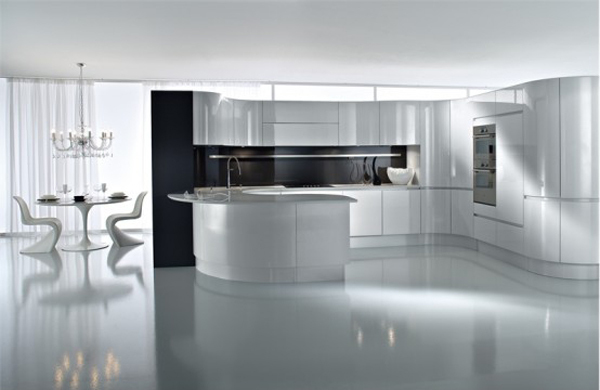 Unusual shapes in furniture and other kitchen decorations add a futuristic and hi-tech touch to the plain straight lines of the kitchen. 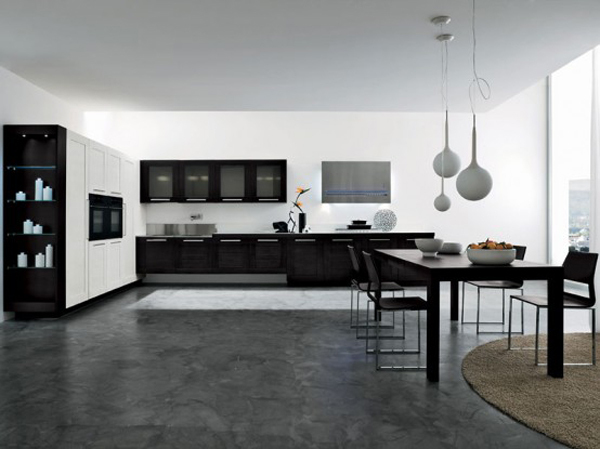 Thus because of such materials as marble and stainless steel used in the direction hi-tech kitchen designs sometimes look very futuristic, gray or ‘cold’. 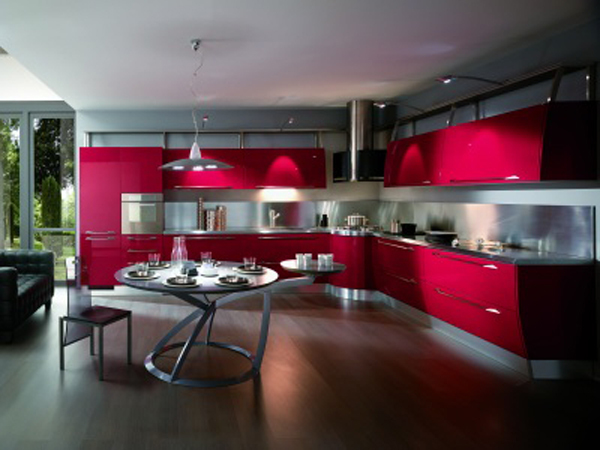 The colors usually introduced in hi-tech designs are white, black, metallic, and gray, however if you like the color and want to warm up your kitchen the bright pops of color only will adorn it. 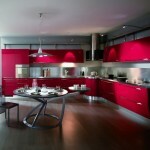 For instance, a bright pink or red wall will add contrast to white and gray color palette of the kitchen. 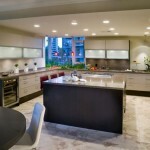 Hi-tech kitchens are also associated with hi-tech gadgets. 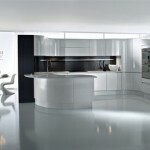 There are numerous designer hi-tech gadgets that will add futuristic look to the kitchen. Unusually shaped sink and faucet, geometrically designed furniture and other decorations that will fit in the general vibe of the kitchen design. There might also be a built-in technology such as television or oven and stove. 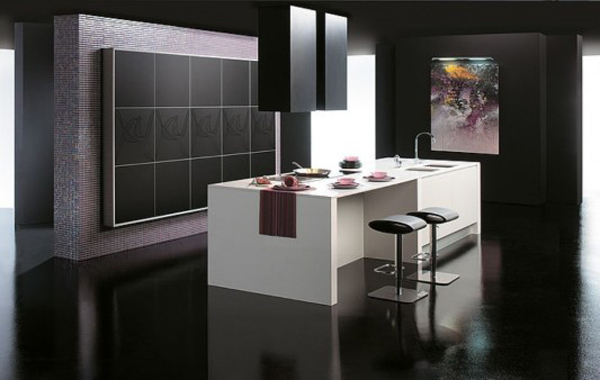 Hi-tech kitchen designs not only make the kitchen roomy because of all built-in facilities but they also bring in some unique atmosphere to your home. Though high-tech kitchens might seem ‘cold’ or too futuristic it doesn’t mean you cannot add flowers, plants or fruit as part of your decor, which do a great job in bringing in the warmth into technological design. 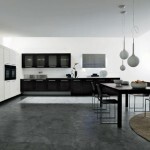 See the various options of hi-tech kitchen designs below and may be you will love the unique charm of this direction. Nice site with great information. I am having a small issue u could help me with…..where do I purchase the products you are displaying? It depends on what you need. There are IKEA stores in many cities worldwide, some of the designers have their own websites where you can purchase their products. Great ideas and design concepts. Would be good if you could incorporate hi-tech designs in a small space too. excellent content material as you did, the web will probably be much more useful than ever before.